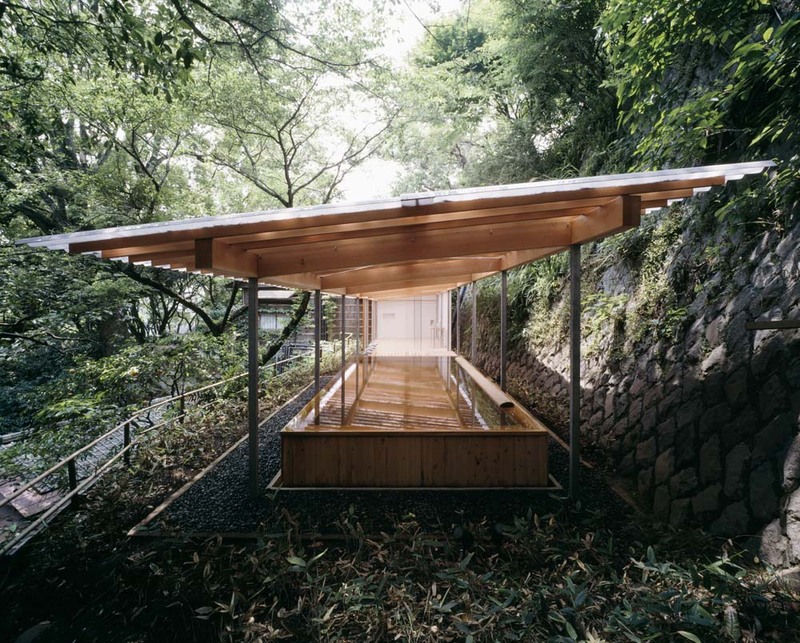 This is an outdoor bath with a roof for one of the leading hot spring inns in Japan that is located on a large slope in Atami overlooking the Pacific Ocean. 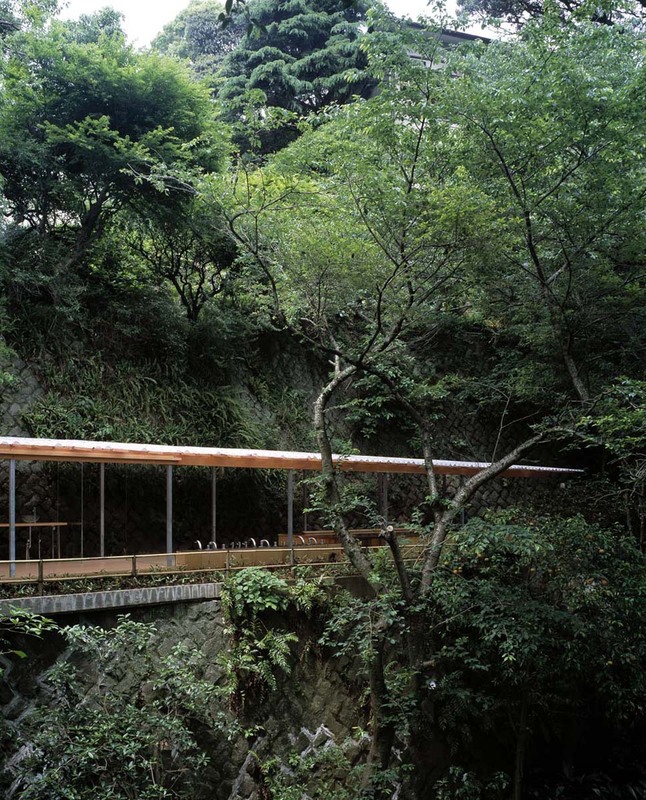 The area where you take off your clothes, washing area and spa were planned in a continuous linear orientation on a long thin site on the cliff. 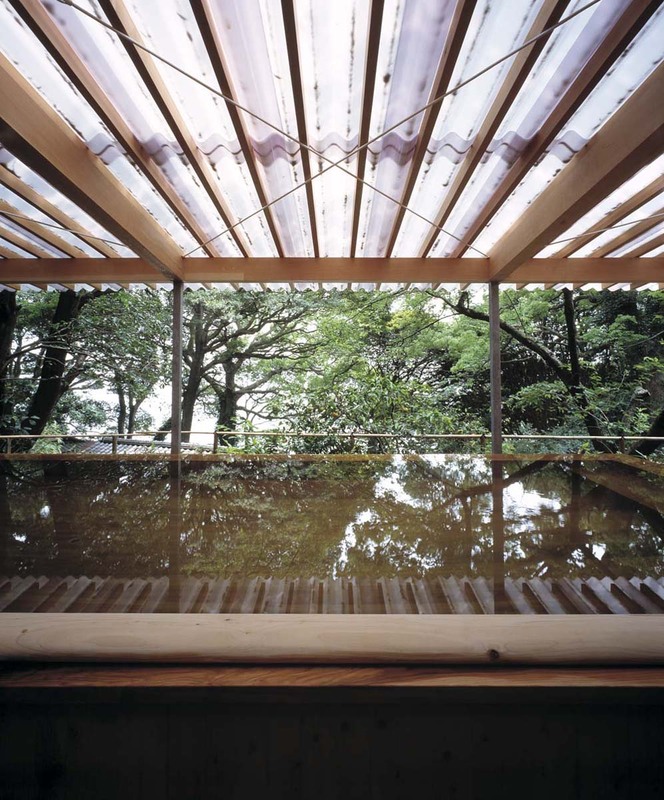 The entire floor was covered with Japanese cypress boards, and the light corrugated plastic roof is supported by 60mm square steel posts. 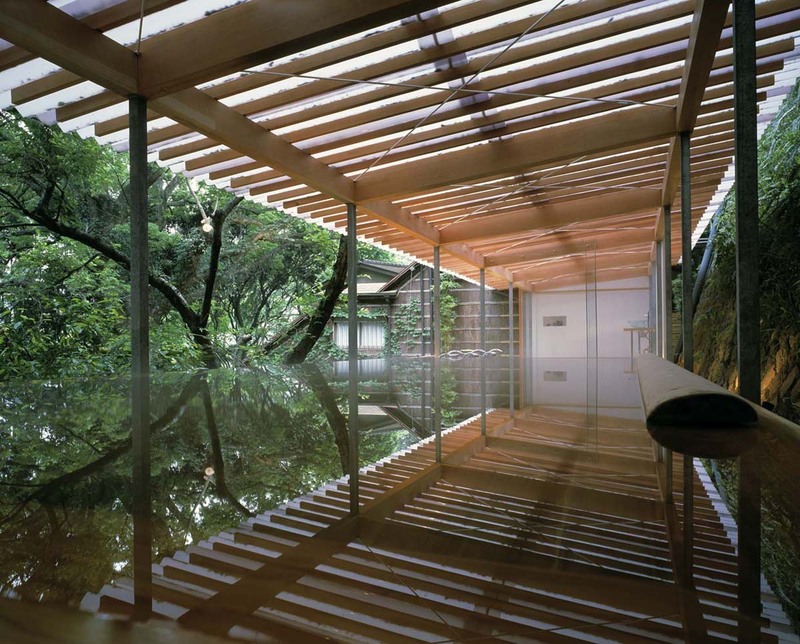 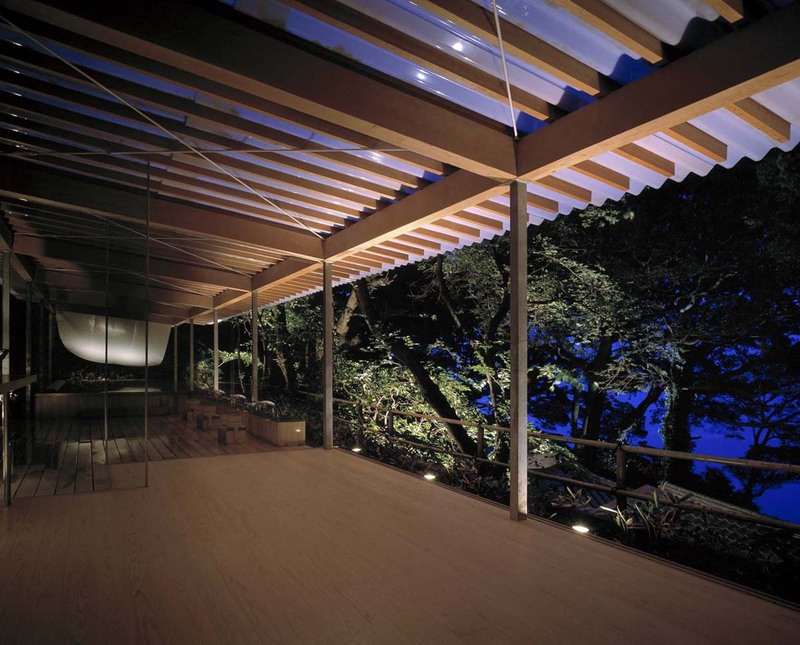 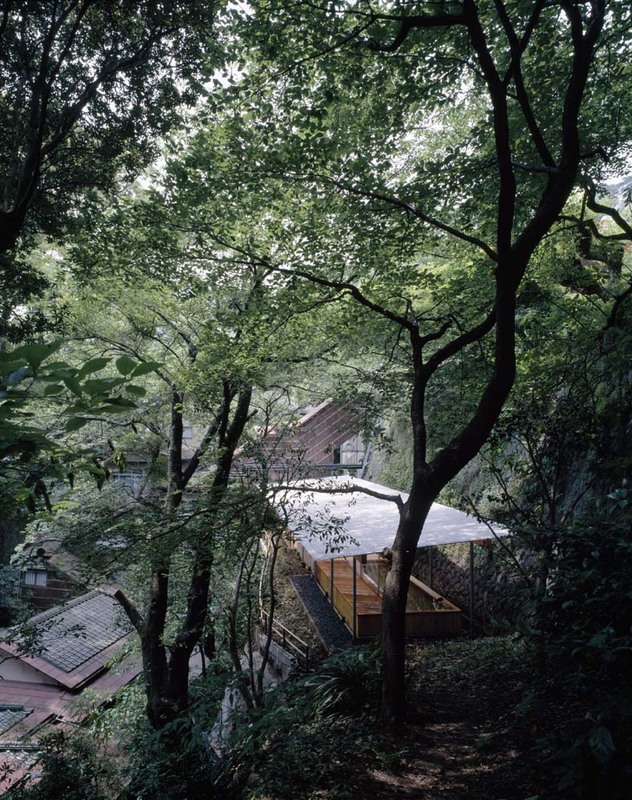 A transparent roof and cypress were used in order to recreate the tradition of wooden structures in Japan in a contemporary manner.